Munich - With seven players on the prestigious FIFA Ballon d'Or shortlist, the Bundesliga is better represented than any other league. Inevitably, the coaches that guided those stars into the global spotlight have also been nominated for their achievements, with Jupp Heynckes and Jürgen Klopp in the running for FIFA’s World Coach of the Year. Heynckes has plenty of arguments to back his candidature, having bowed out from coaching at the age of 68 at the unrivalled pinnacle of his profession. For some, winning everything is still not enough. They want more. They want it all in one sitting, impossible as it may seem. Achieving the unimaginable is what drove UEFA Champions League, Spanish Supercopa and Bundesliga winner Jupp Heynckes to smash record after record and immortalise his name in the history books by doing what no coach had ever done before: win a quadruple. 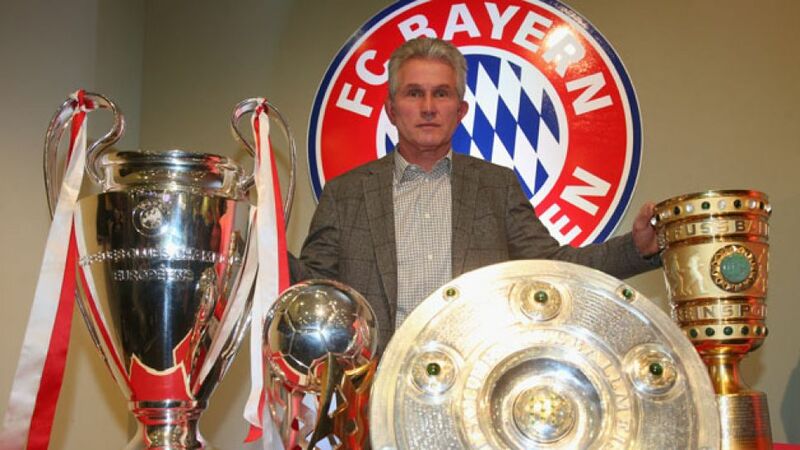 It may have taken Heynckes a full season to get warmed up, but defeat in the was the spark which ignited something within, something he was able to infuse into a side hungrier than ever for glory. The result is there for all to see: a without precedent which means only Heynckes can really win the FIFA World Coach of the Year award. Victory over on 1 June was the extraordinary culmination of a return to coaching which even Heynckes had never imagined. With that trophy, he closed his coaching notebook with the DFL Supercup, the Bundesliga and the UEFA Champions League, a trophy he has won with two different clubs. He first lifted Europe's greatest club title with Real Madrid CF in 1998, already almost a decade after he had won his first two Bundesliga crowns with Bayern. Summoned back to the Bavarians in 2009, albeit only for five matches, he had regained the coaching bug two years after it seemed he had penned the final chapter in his coaching career, after resigning as Borussia Mönchengladbach supremo. Guiding Bayer 04 Leverkusen to second in 2011 was enough to convince Bayern to lure him back for a third spell. Heynckes had some unfinished business, and he completed it in style, developing a style of play which has become a blueprint for coaches throughout Europe, not least for his successor on the Bayern bench, Pep Guardiola, who admits Heynckes is a role model even to him. With Ballon d'Or candidates Franck Ribery and Arjen Robben menacing, Bastian Schweinsteiger dictating and Mario Mandzukic finishing things off, he had an unparalleled recipe for success. The whole of Europe took their hats off to Heynckes in 2013, and logically, the world will follow with this worthy award in recognition of his remarkable achievements.